To contact me, please send an e-mail to fNO@SPAMlhabitant.net (Remove NO and SPAM). Computer Engineer Degree (1989) at the Swiss Federal Institute of Technology. French scientific baccalaureate (1983) at Lycée Victor Duruy (Paris). 2004-Present: Chief Executive Officer / Chief Investment Officer, Kedge Capital. In charge of running a portfolio of US$ 5bio+ invested in hedge funds and risk controlled strategies. 2002-2004: Member of Senior Management, Union Bancaire Privée. Head of Quantitative Analysis and Risk Management for alternative assets. 2000-2001: Member of Management, Union Bancaire Privée. Head of Quantitative Risk Management for all trading activities. 1999-2000: Director, UBS AG, Private Banking Division (Basel) and Global Asset Management (Zurich, London). Participated in the acquisition process of GAM by UBS and developed quantitative models for hedge fund analysis and performance measurement. 1999-1999: Risk Manager, Union Bancaire Privée. In charge of value at risk development and trading/hedging models validation. 1995-1998: Consulting work and executive training for various banks, industrial firms and pension funds in Geneva, Lausanne, Lugano, Zurich, and London. 1991-1995: Computer Engineer at Energie Ouest Suisse. Involved with the development and implementation of CASE tools (C++, Pascal), various databases (SQL), and accounting packages. 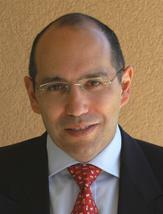 2002-Actual: Associate Professor of Finance at EDHEC Business School (www.edhec.com). 2006-Actual: Visiting Associate Professor of Finance, Hong Kong University of Science and Technology (www.ust.hk). 2001-2009: Visiting Professor of Finance at H.E.C. Lausanne (www.hec.unil.ch). 1998-2004: Assistant Professor of Finance at Thunderbird, The American Graduate School of International Management (www.thunderbird.edu). Courses taught: Introduction to Managerial Finance, Advanced Managerial Finance, Investment Banking, International Securities Investment, Derivatives and Financial Engineering. 1989-1991: Mathematics teacher at Institut Valcreuse (Lausanne). Since 1994, delivered numerous executive education courses in finance at the Training Center for Investment Professional (AZEK-CFPI, www.azekcfpi.ch), the Swiss Finance Institute (www.sfi.ch), the Centro di Studi Bancari (www.csbancari.ch), as well as for numerous banks, pension funds, family offices and sovereign wealth funds. French Finance Association (AFFI), American Finance Association (AFA), International Association of Financial Engineers (IAFE). Regular presenter or keynote speaker in academic and industry conferences. Former member of the Scientific Committee of the Autorité des Marchés Financiers, the French financial markets regulatory body. Member of the European Advisory Board of the International Association of Financial Engineers (IAFE). Former Member of the AIMA Investor Steering Committee. Occasional referee for the Journal of Empirical Finance, the Journal of Risk, the European Journal of Finance, Finanzmarkt und Portfolio Management, Thunderbird International Business Review, International Journal of Theoretical and Applied Finance, and Finance. Please refer to the "Books" and "Research Papers" tabs on the right side of this web page.